Combine Our Best Tours, Have More Fun, & Save Money! This tour is an awesome blend of mother nature, high culture, dramatic ocean views, adventure, exhilaration, and fun. La Jolla is called the “The Jewel” of San Diego and you will fully know why after this life changing tour. This tour blends two popular tours to take in La Jolla. A wonderful ride down Mt. Soledad and through the beautiful neighborhoods by bike and an adventurous kayak tour by sea to take in the caves, see cliffs, and wildlife. 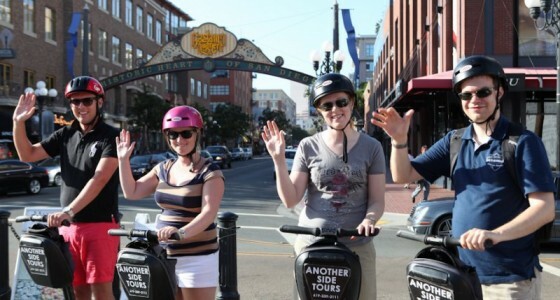 Join Another Side Of San Diego Tours for the most unique food tour of the historical Gaslamp Quarter on our Gaslamp Segway® Taste Tour. Your glided exploration will dive into the Gaslamp Quarter's Wild West past and transport you to the trendy modern day Bourbon Street it has become today. 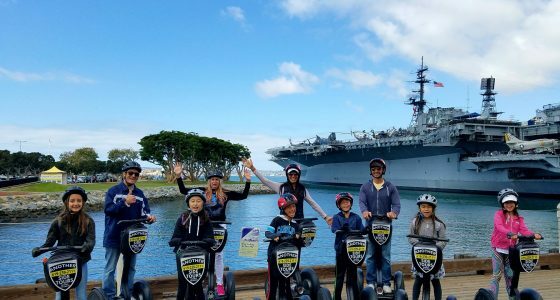 Your taste and thirst will be quenched as our fabulous guide takes you to the latest foodie hot spots, having a chance to Segway the calories off as you cruise to and from the downtown sights of America's Finest City. 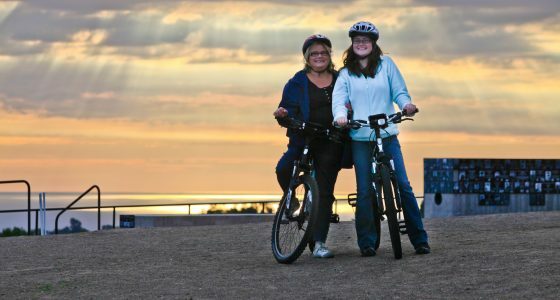 This is a combination of our most popular Gaslamp Segway Tour (on Segways) and our afternoon city tour of La Jolla (in our Mercedes Sprinter Van). 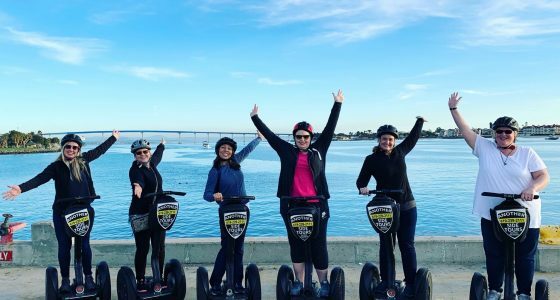 On the Segway you will enjoy the ride of your life while we "Surf The Concrete" and take in the best sights of the city including The Historic Gaslamp Quarter, The Embarcadero, and Balboa Park. Then, on the afternoon La Jolla Tour, you will experience the most amazing dramatic ocean views that America's Finest City has to offer! This is our favorite combo tour of ecology, mother nature, and the ocean all in one. Beautiful and dramatic do not even begin to describe the views that you will take in. You will experience two of the best adventure tours. First, we explore La Jolla, aka "The Jewel" of San Diego, on an 2-hour biking tour down majestic Mt. Soledad. Then, you get to take the tour that we are literally famous for via Segways through arguably the most gorgeous areas of the city and much more. Another Side Of San Diego Tours is proud to offer a wide variety of Combo Tours Packages to save you money in San Diego! We absolutely 100% guarantee that you will have the experience of a lifetime with us. 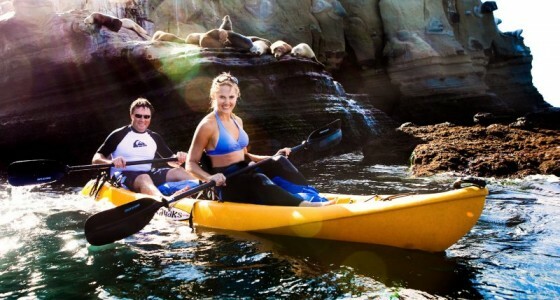 We are the source for the best hands-on sightseeing adventure in America’s Finest City. 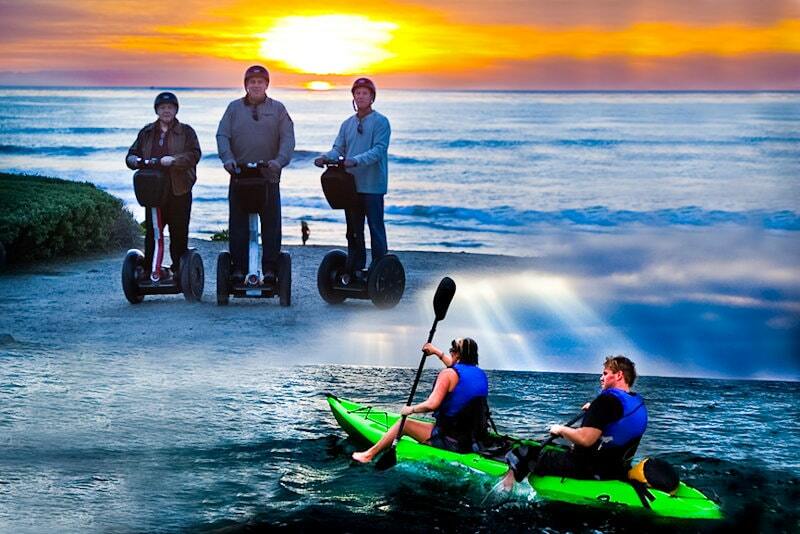 Our Segway® Tours are a top ranked ‘Things to Do’ according to TripAdvisor.com! Please feel free to book any of our Combo Package Deals here on our site. You will receive an instant confirmation by email. If you have any additional questions about these Combo Deals or any of the other many exciting tours available in San Diego, please call us anytime at 619-239-2111. One more thing….Be prepared to have fun!